The Worker’s Club, prominently situated on Brunswick Street, the main thoroughfare of Melbourne’s vibrant Fitzroy district, is credited with saving the local music scene in the early 2000s. Housed in the building that was once the historic Rob Roy Hotel, The Worker’s Club is well situated among the area’s trendy bars and popular restaurants. Often cited as one of Melbourne's best live music venues, The Worker’s Club is all at once a hub for music, an art space, a restaurant and bar. The Worker’s Club has three versatile areas which are also hired out for functions. The Dining Room, which has an inviting fireplace, original to the building, can comfortably seat up to 30 for dinner or 70 for cocktails. The self-contained Band Room, with its own private bar, can fit up to 260 persons and has facilities for DJ equipment and live bands. While the Beer Garden cannot be reserved for private functions, it can hold small gatherings without a fuss. The Worker’s Club has an eclectic, ever-rotating schedule of artists who play in the venue. Acts who have graced the stage of The Band Room have run the gamut from dance/electro-pop acts like “Fluir”, pop singers like “Kita Banks” and Metal bands like “A Night in Texas”. The menu at The Worker’s Club is as varied as its music acts. Open seven days a week, the venue’s kitchen churns out many delicious vegan, vegetarian and gluten-free options. The meals on offer can satisfy people looking for yummy pub fare or a hearty dinner. The Worker’s Club also has a wide array of cocktails and wine available as well as domestic, craft and international beer. 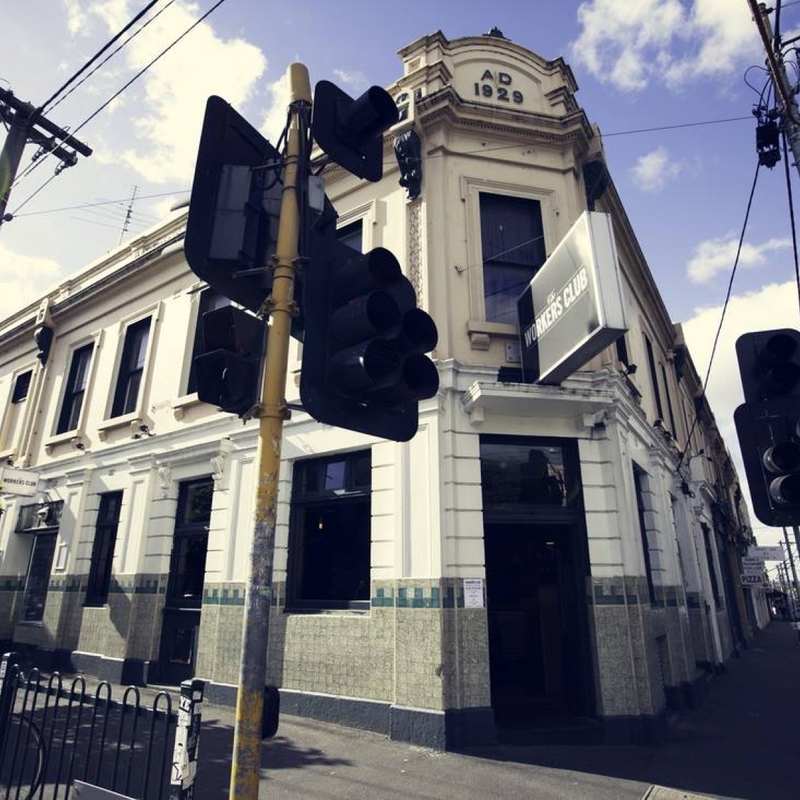 The Worker’s Club is a well-loved venue for Fitzroy regulars of all ages and is definitely a must-visit spot for music lovers of all genres.